zarinahtakesapaycut: Whither Corporate Governance in Malaysia? The Financial Crisis Inquiry Commission of the United States of America blamed widespread failure of financial regulators, breakdowns in corporate governance, excessive borrowing and risk by both households and financial firms along with "systemic breaches in accountability and ethics" at all levels for the crisis. and the bogus firm and directors of PwC Consulting Sdn Bhd (289801-A), or been made to answer them. Is Malaysia in a state where it can withstand a financial crisis similar to what happened in the United States after the 'sub-prime' debacle, or can it face the massive questions Japan and its economy are being asked now, post-earthquake? If the answer is 'no', are we going to do anything about it? Or are we going to form a commission of inquiry after a financial tsunami hits our shores, and then find the suitable bodies to carry the blame, while the markets are churned by turmoil? 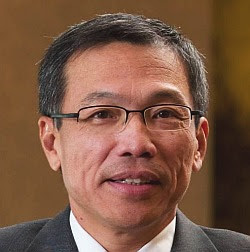 What is the point in having regulators when they cannot even bring themselves to ask the Managing Director of the largest audit firm in the country, Mr Chin Kwai Fatt of PwC, to answer the allegations of fraud that have been raised against him and his firm? It is an undeniable fact that PwC has its partners holding key positions in the various regulatory and accounting oversight bodies in this country, but does that mean that they are now in a position that is beyond reproach? Does this not make the audits they do for a hundred odd public listed companies and many other GLC's suspect in the eyes of the investors and the taxpayers? "If we scroll through the regulators, and other influential bodies in the auditing world, like the Securities Commission, the Audit Oversight Board (AOB), the Malaysian Institute of Accountants (MIA), the Malaysian Institute of Certified Public Accountants (MICPA), the Malaysian Accounting Standards Board (MASB), the Financial Reporting Foundation, we can find a common element that compromises the ability of these regulators to act decisively on the fraud perpetrated by PwC Malaysia. The Audit Oversight Board's Director is a former PwC man, while it's Chairman, En Nik Hasyudeen, is an old friend of Chin Kwai Fatt, the MD of PwC Malaysia. Mr VU Kumar, a senior partner in PwC Malaysia, sits on the investigation committee of the MIA. Dato' Johan Raslan, the Chairman of PwC Malaysia, is also the President of the MICPA. He is also a member of the Securities Commission of Malaysia's Corporate Governance Consultative Committee. He was also the former Chairman for theFinancial Reporting Foundation, which now sees Ms Loh Lay Choon, a partner in PwC sitting on its board. En Mohammad Faiz Azmi, a partner in PwC Malaysia, is the Chairman of the MASB, and another partner of PwC, Ms Ng Mi Li also sits on the MASB board." The continuing silence from the Regulators, PwC Malaysia, PwC's Global Leaders and the senior partners like Chin Kwai Fatt and Dato' Johan Raslan in face of all this questions only serves to further increase the suspicion that the senior partners in PwC Malaysia implicated in PricewaterhouseCoopers Consulting Sdn Bhd (464379-U) have no place to hide their acts but behind this deafening wall of silence. Can this country, take a single step towards having the system of corporate governance that ensures our corporations are truly capable of withstanding shocks to the financial system, if we cannot even answer the questions that are already being raised? Is there any regulator or watchdog out there, that is doing its job?